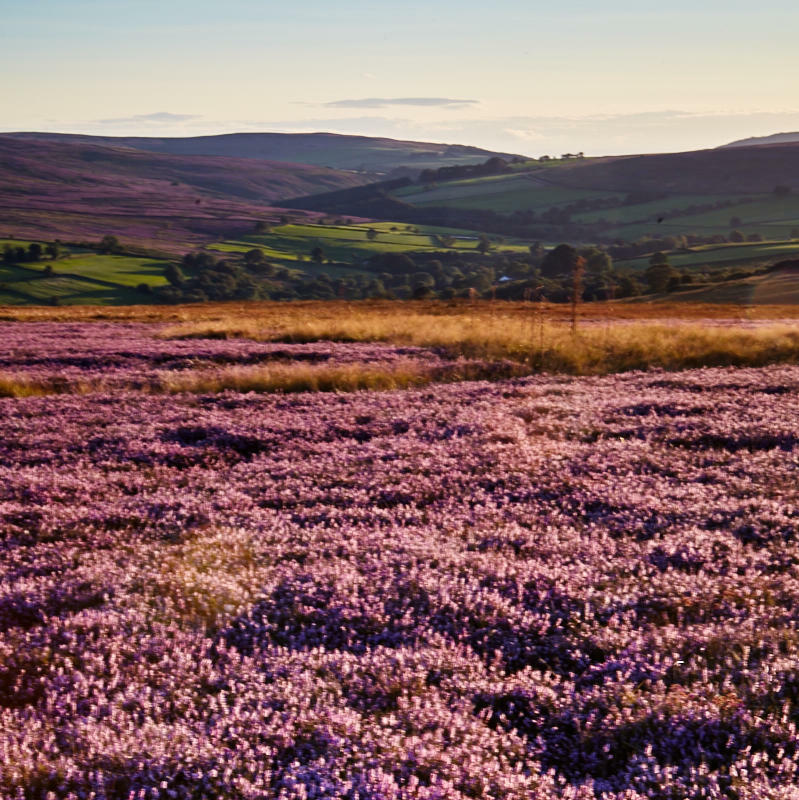 Heather in Bloom - North York Moors. 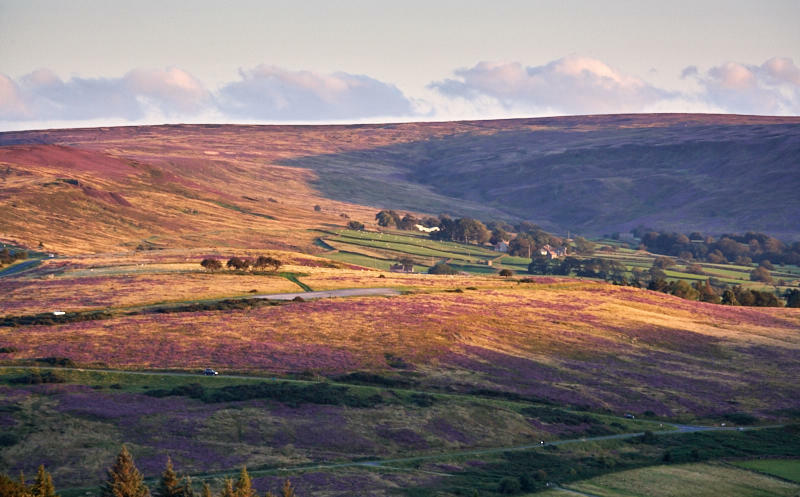 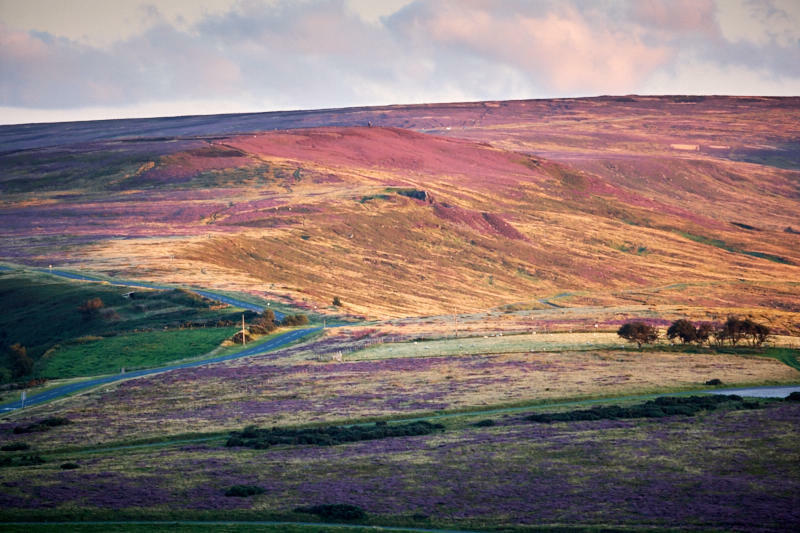 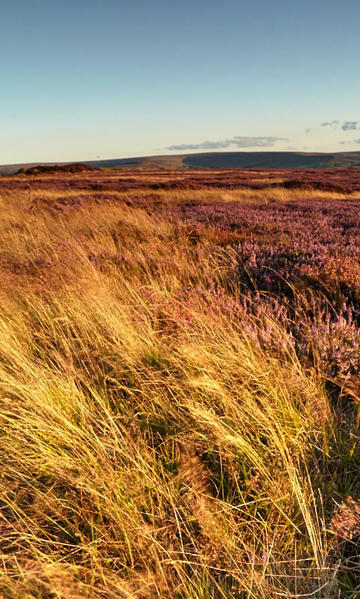 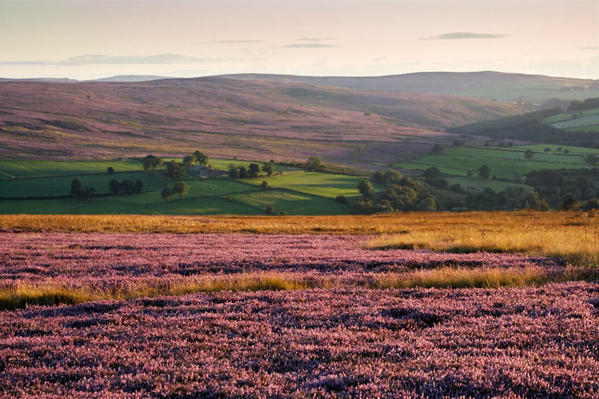 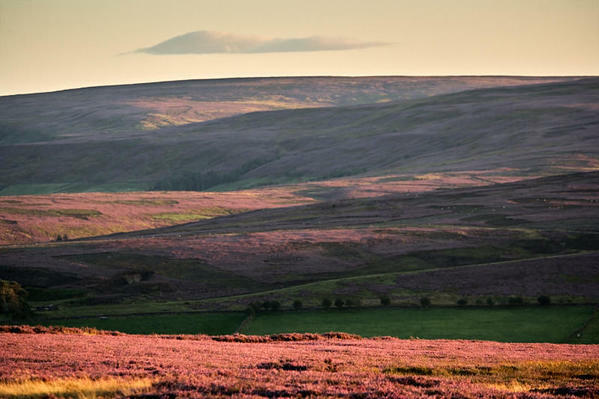 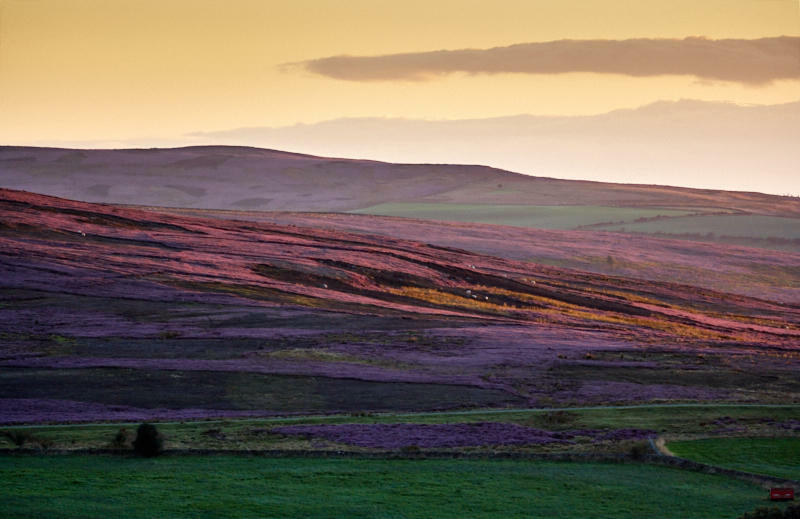 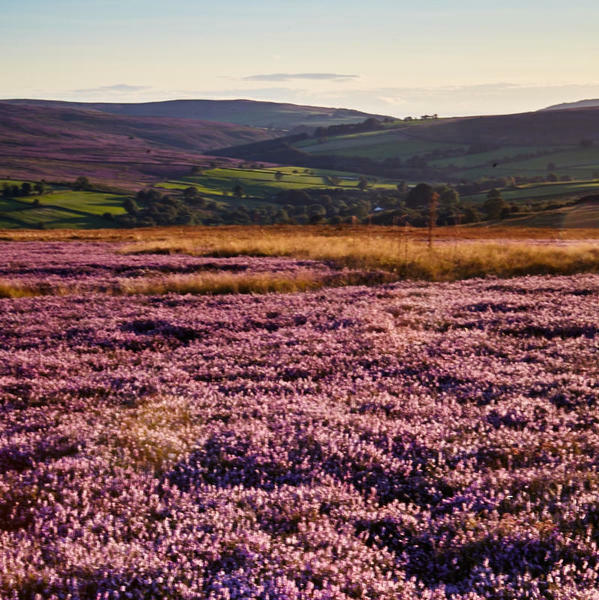 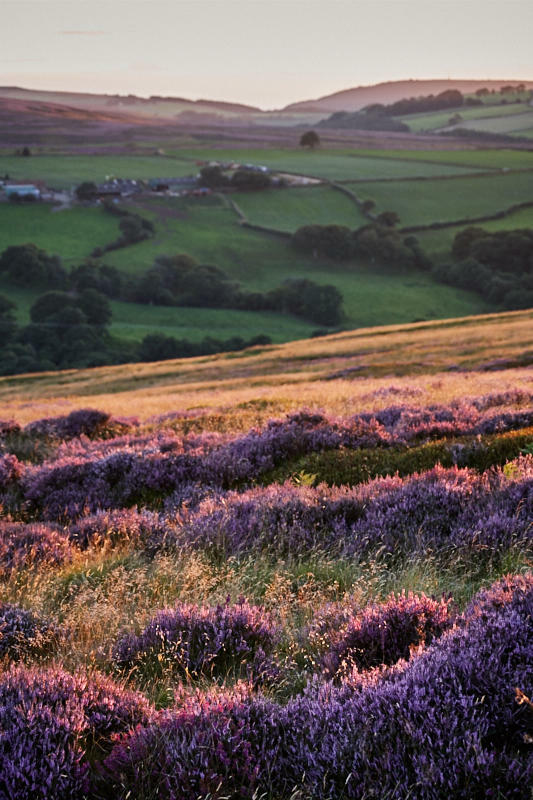 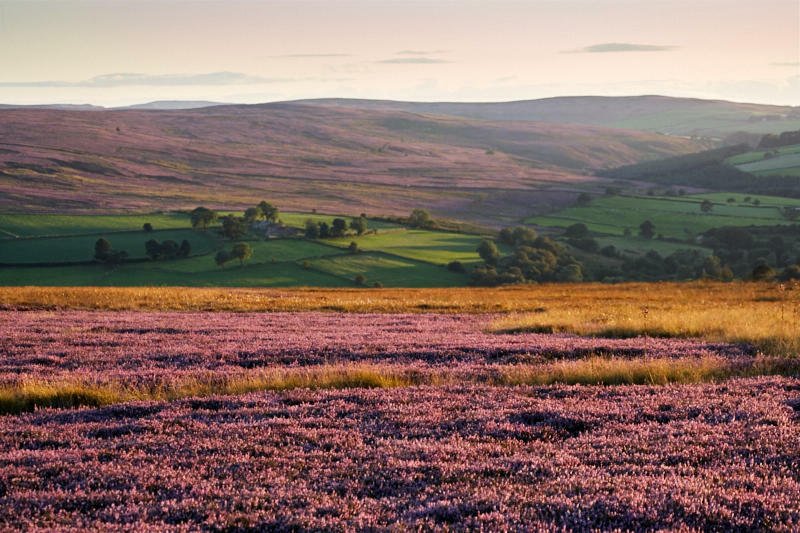 In late August, the heather covering the moorland of the North York Moors comes into flower, painting the landscape in a soft reddy purple hue. 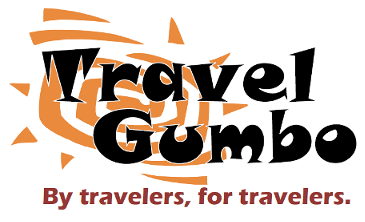 It brings a different dimension to the hills and vales who's seasonal visual variety ranges from barren winter tones to the bright yellow and reds of summer. 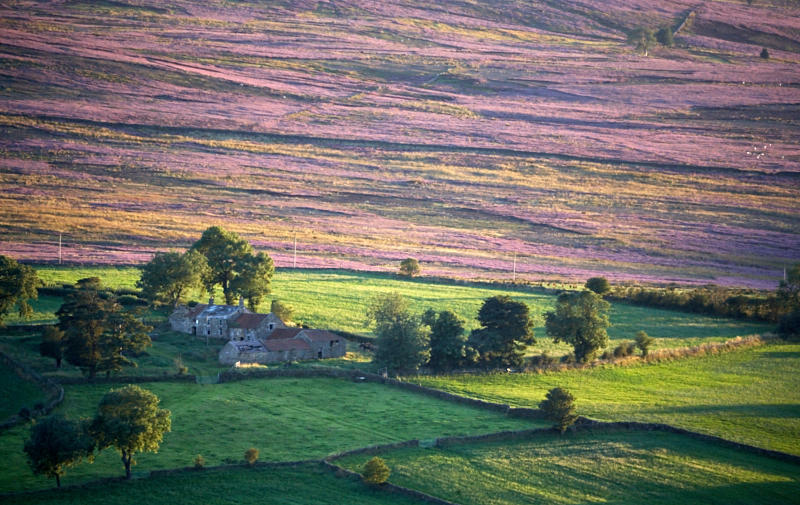 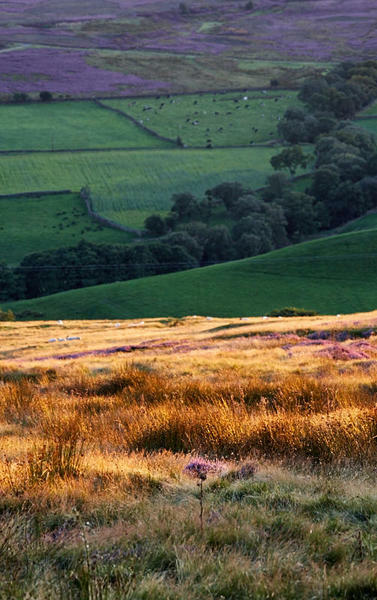 I'd headed out to the Commondale/ Castleton Rigg area, to capture the setting sun as it lit the hills and moors.